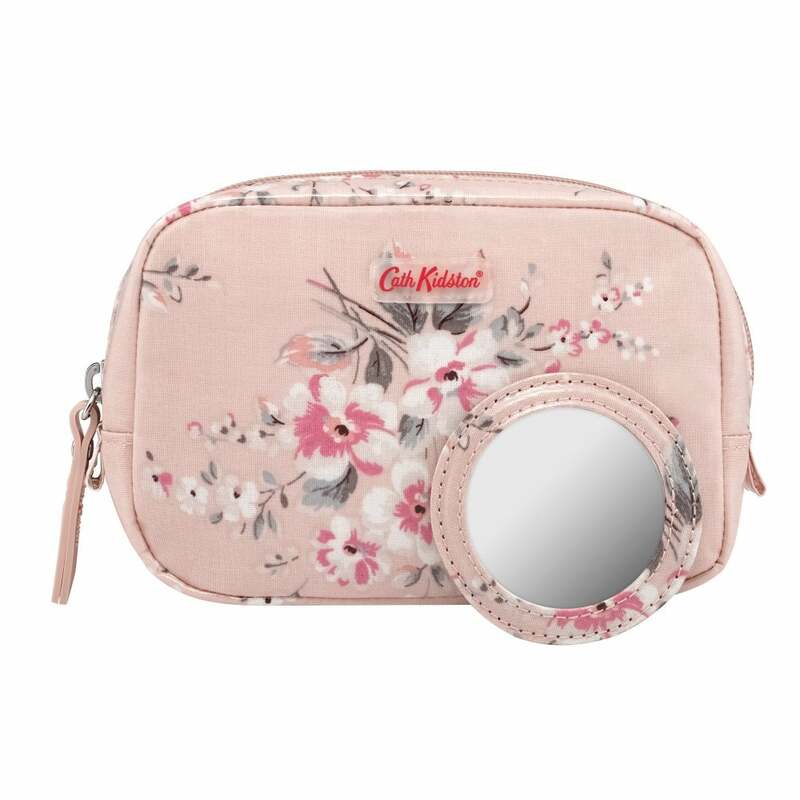 Perfect for your everyday makeup kit this classic box makeup case is the smaller size in the Cath Kidston range. Created using a lovely Spitalfields floral oilcloth it is wipe clean and perfect for throwing in your handbag. With an inner slip pocket and handy matching mirror this is perfect for the essentials.